In a 1995 interview, Palghat R. Raghu recalled how he became a disciple of the legendary Palghat T.S. 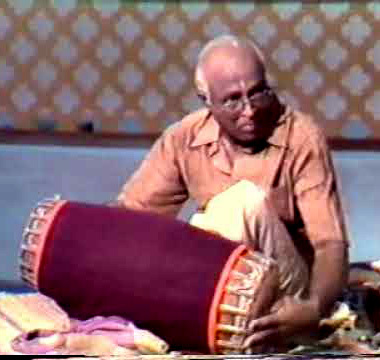 Mani Iyer. Quoted in “Challenges brought out his best” by S.V. Krishnamurthy, an article included in The Hindu speaks on music (Chennai: Kasturi & Sons, 1999, pp. 245–47). Today would have been Palghat Raghu’s 90th birthday! Above and below, the master in his element.